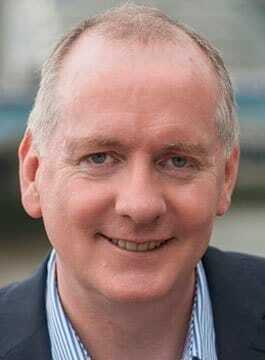 Mark Gallagher is recognised as one of the world’s leading Motivational Speakers who delivers Leadership, Teamwork and Change Management based speeches adopted from the world of F1 Racing. Having been involved in Formula One for over 25 years, Mark is a respected industry expert best known for being a key member of the senior management team at Jordan Grand Prix. Mark was often referred to in the media as ‘the head of making things happen’. As head of the Jordan Team’s marketing, Mark was Eddie Jordan’s right-hand man during his two stints with the team totaling nine years. After leaving Jordan, Gallagher joined the management team for British F1 racing star Jenson Button, before heading-up sponsorship and commercial negotiations for Jaguar’s F1 team prior to its transformation into Red Bull Racing. Having been involved with F1 for nearly thirty years, Mark Gallagher has been privileged to closely observe some of the most famous names who have dominated the sport including: Alain Prost, Nigel Mansell and Ayrton Senna. While at Jordan, Mark worked with champion drivers including Michael and Ralf Schumacher, Damon Hill, Rubens Barrichello, Takuma Sato, Martin Brundle, Jarno Trulli and Ralph Firman. Between 2009 and 2011, Gallagher was responsible for overseeing the Formula 1 Business Unit at Cosworth. He helped return this UK based business to F1 as an engine supplier to four teams – Team Lotus, HRT, Marussia Virgin Racing and Williams. As a result, Mark helped restore Cosworth to the forefront of F1, rejuvenating a brand name with over 23 Formula One World Championship titles to its credit. Off the race track, Mark is regular analyst and industry expert passing comment on all aspects of F1 on Sky News and Radio Five Live. A keynote speaker for over 15 years, Mark is recognised as a leading F1 Motivational Speaker. 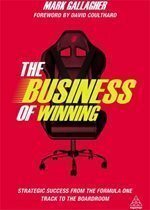 From working ‘up-close and personal’ with world leading racing drivers, Mark has obtained a unique insight into what it takes to be a winner in the high pressure and competitive world of F1. Teamwork, Motivation and Leadership are among the topics Mark is most often asked to speak about, while Health & Safety, the Future of Environmental Technologies and the Globalisation of F1 are among the subjects to which he can offer a fascinating insight. With a relaxed, humorous and anecdotal style, Gallagher has delivered presentations to over 400 companies the globe. As a motivational speaker, Mark delivers a fascinating insight into the world of top level motor racing, drawing parallels between the challenging, high speed environment of Formula One and the fast-paced, fast-changing business world of today.